In this article, I’m going to show you all the necessary steps required to start Affiliate Marketing in India. But first, do you know what Affiliate Marketing is? Affiliate Marketing is a method to make money by recommending services or products to other people. Digital Marketers are earning money by referring others to e-commerce platforms. You can also make money by referring peoples to the various e-commerce platforms in India. This method of referring people to some e-commerce platforms or any other products/services pages is known as Affiliate Marketing. First, you have to choose a product that you want to promote. Second, join the affiliate program of that particular website/e-commerce. Third, after all the necessary details you will get a link that is called the Affiliate Link to put on your website or blog. Fourth, now you have to promote this link and redirect your visitors to the product so they can purchase those products. Fifth and last, when a visitor buys the product, you’ll get a commission. There are many affiliate programs available in India with an opportunity to promote millions of products. But, in India, the Amazon is giving the best commission rates and currently the best affiliate program in India. People won’t buy from an unknown seller or e-commerce. So, you cannot do the affiliate for an international product. You need to know which are the Indian Affiliate program networks and products in the market. Trust: Most of the people in India don’t buy from an untrusted website. For example, people will buy products from Jabong but not from an unknown foreign site because they know Jabong is an Indian company and they’ve seen lots of advertisement also. Shipping: Let say you are promoting an international product in India but what if they don’t deliver the product in India. By chance, they do ship in India, but it will cost a fortune or double your product cost. So what is the point of introducing that product to an Indian consumer? The main advantage of choosing an Indian Affiliate network is that they have already in the minds of the people. Which means that you will already have an audience that is aware of the product you are promoting and they want to purchase the product. If you want to do Affiliate Marketing in India, below is the list for you. All you have to do is, support us by just sharing this article by unlocking one of these buttons. [Locker] The locker [id=469] doesn't exist or the default lockers were deleted. How to Start Affiliate Marketing in India? 1: Select which kind of Product you want to Promote. If you are doing Affiliate Marketing in India, Amazon will be the first and the best choice for you. Just go to the Amazon Affiliate program page, or you can also search for Amazon Affiliate Program India. After completing your profile, choose a category which suits you the most. Select the topic that you are interested in the most, so you can write about it easily. And you can target that specific audience who are also interested in that product. It is also called choosing the ‘niche’ for your affiliate blog/website. 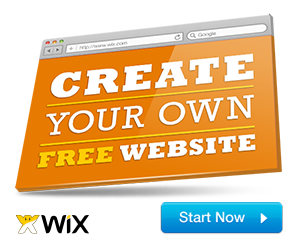 If you have selected the topic you want to write about, now it is the time to create your website or blog. There are many ways to promote your affiliate link on the web, but the best way to do it is by promoting it on your website or blog. When your site is up and ready to go, the next thing is to create a content strategy for your website. So, you can grow your audience day by day. And the last thing is to make your site or blog a constant income source. The best way to make your website a constant source of income is by getting a Google Adsense account and start selling the space for the advertisements. Also, you can partner with various e-commerce platforms and help them sell their products and services on your website and make a commission out of it. So that’s how easy the Affiliate Marketing in India is, if you do it right you can earn a lot from it. The only thing to keep in mind is which affiliate program to choose and which pays the most in the market. In my next article, I’ll tell you about the topmost affiliate programs in India that are giving the best commission rates in the market.